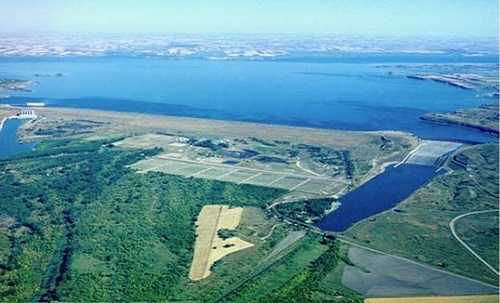 Garrison and Fort Peck Dams High Hazard Analysis (MT) | WEST Consultants, Inc.
WEST Consultants is developing Probable Maximum Floods (PMFs) for the Garrison Dam located in northwestern North Dakota and Fort Peck Dam located in northeastern Montana. Both dams are in the Missouri River Basin; Garrison is the largest and Fort Peck is the third largest dam by storage capacity in the U.S. The scope of work includes the collection of extreme storm data for the transpositionable region, development of regional precipitation frequency analysis and estimation of basin-average frequency curves, evaluation of wind set-up and wave run-up, critical inflow and storm duration analysis, and development of the PMF and development of dam pool stage frequency curves via stochastic analysis. The hydrologic analyses to determine reservoir inflows under extreme events is a particular challenge. The watershed above Garrison Dam has a contributing drainage area of more than 180,000 square miles. The application of the gridded HEC-HMS runoff model to determine reservoir inflows is the largest known application of a gridded HEC-HMS model. The modeling also includes snow-melt as a major component of the runoff. Significant effort was expended to evaluate the gridded temperature and snow water equivalent (SWE) data as well as to develop the snowmelt parameters. This project has also involved close coordination with the Corps’ team of experts that are conducting separate components of the work.